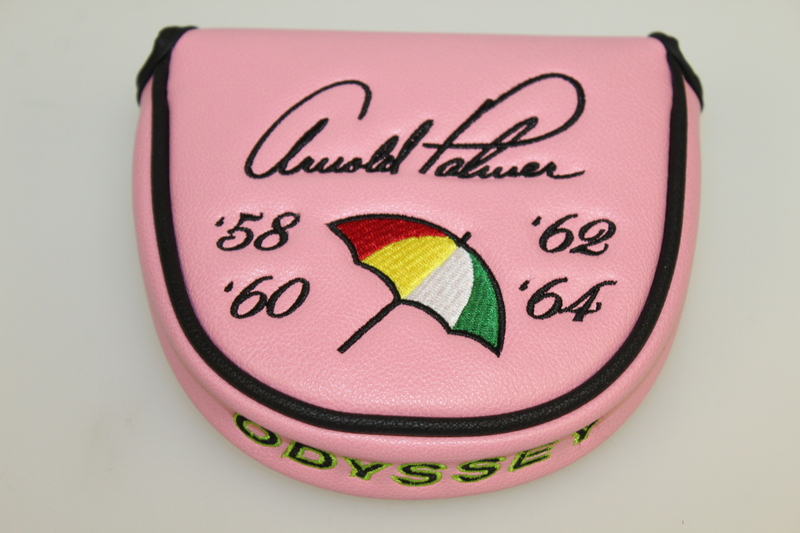 Here we have an Odyssey mallet style head cover commemorating Arnold Palmer's Masters Tournament wins. 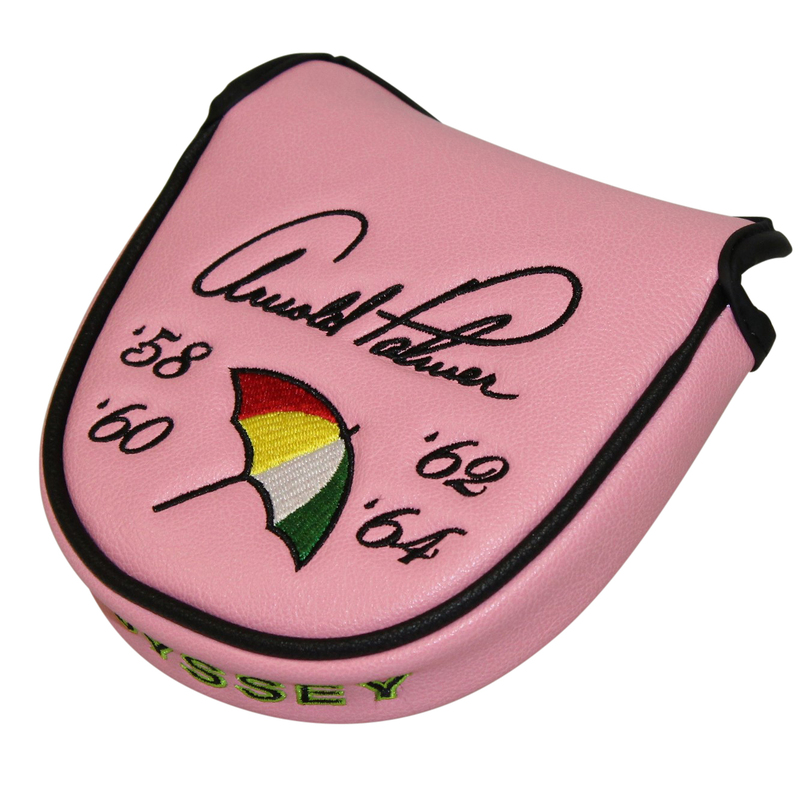 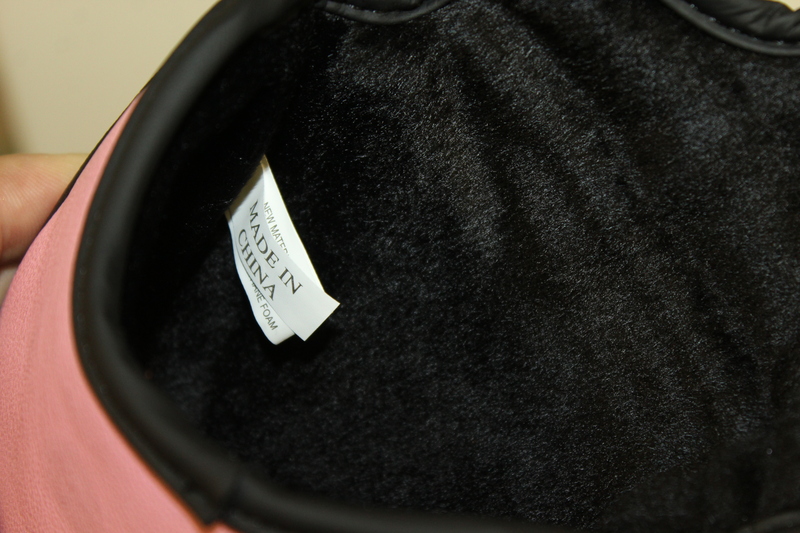 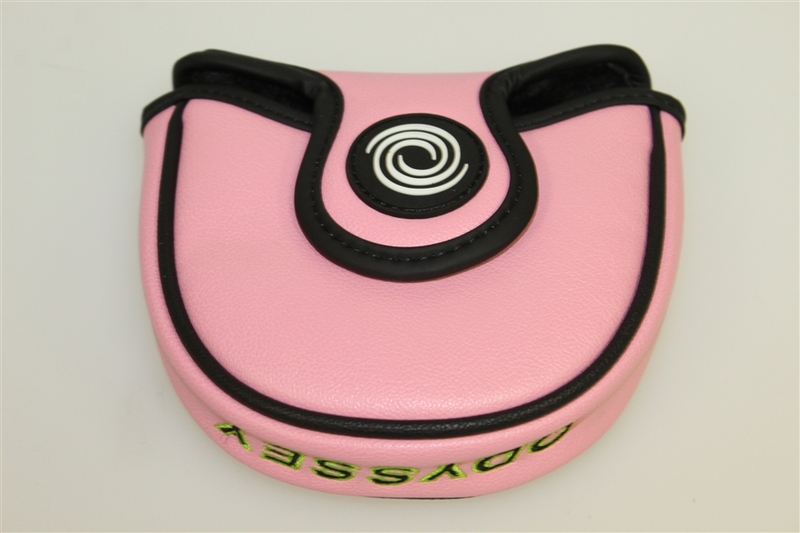 It comes in like-new condition and is sure to shine in any collection or golf bag. 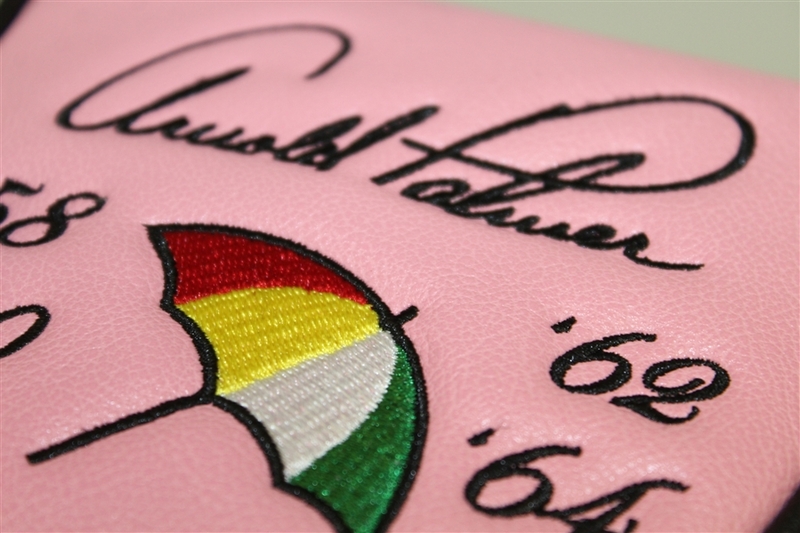 Arnie tamed the course at Augusta four times in his incredible career, 1958, 1960, 1920, and 1964, all commemorated here on this headcover.